Progressive is one of the big 3 auto insurers in Florida. I’m going to share what I’ve learned from settling many cases with Progressive. You’ll get to see many Progressive settlements (with amounts). I’ve also sued a driver insured with Progressive. What is the Average Progressive Settlement Amount? As you’ll see in a moment, my most common settlement amount with Progressive has been $10,000. This is because, in Florida, most of Progressive’s auto policies have bodily injury liability (BIL) insurance limits of $10,000 per person/$20,000 per accident. However, you’ll note that sometimes the $10,000 that Progressive pays is part of a larger settlement (with another insurer). This was the case in my $210,000 settlement that I’ll discuss shortly. Progressive sometimes has much higher bodily injury liability limits. I have had at least one case where Progressive insured the careless driver with $1 Million dollars in BIL coverage. Unfortunately, in Florida, BIL insurance is not required on most cars. There are some exceptions, like Uber and Lyft (whose vehicles must have BIL insurance when the app is on). There are other instances where BIL insurance is required. Is Progressive terrible at paying Florida personal injury claims? Progressive is poor at paying Florida auto injury claims. Actor. Unfortunately, yes. While Progressive Insurance has funny ads featuring Flo, that’s where the fun stops. Progressive is terrible at paying Florida bodily injury (“BI”) liability insurance claims. I don’t say this about every auto insurer. In fact, I’ve actually said that some auto insurers are good, like USAA. However, when it comes to the major personal auto insurers in Florida, Progressive gets the worst ranking. The other three major insurers, State Farm, Geico, Allstate, all pay better than Progressive. Though, they often make lowball offers as well. Is Progressive Cheap When It Comes to Offering Pain and Suffering Payouts? Yes. You might be able to get compensation for pain and suffering if you were hurt in a Florida car accident. Progressive has a reputation for offering a small amount of money for the pain and suffering component of a Florida BI claim. Is Progressive Uber’s Insurance Company in Florida? For accidents on or after March 1, 2018, Progressive Commercial is Uber’s auto insurer in Florida. This is bad news for Uber drivers and passengers, and others injured in an Uber accident, in Florida. It is bad news because, from my experience, Progressive makes offers that are below fair settlement value in most injury cases. This is also the experience of other attorneys who I know. Is There Any Good News With Progressive in an Auto Accident Case? Sometimes. There are many terrible bodily injury liability (BIL) auto insurers in Florida. I’m referring to companies, like United Auto, that pay worse than State Farm and Allstate. Out of the terrible paying insurers, Progressive issues BIL insurance policies with the highest limits. So even though you may have to sue in a case involving Progressive, there may be plenty of insurance available. If someone insured with Progressive caused your injury, Progressive may quickly send an adjuster to your home to try to settle your injury claim. This usually occurs within days after Progressive has notice of the accident. I don’t know of one other insurer who does this. Sure, other auto insurers will give you a lowball offer, but that usually happens after they’ve seen your medical records and/or bills. GEICO often sends its field adjusters out with a policy limits check, but that usually only occurs if you have a bad injury and GEICO’s BIL limits are low. For your run of the mill neck and back pain, GEICO won’t send an adjuster to your house to make a $1,000 to $3,000 offer. The problem is, when Progressive gives you a check, they’ll ask you to sign a settlement release. The release basically says, in exchange for a certain amount of money, you are forever giving up your right to sue Progressive’s insured. If you deposit the check, you are forever waiving your right to make a personal injury claim. If your injuries are minor, the accepting the check and signing the release may not be such a big deal. However, it still can be problematic. On the other hand, if you need future medical care, don’t deposit the check and sign the release. Otherwise, you are kissing your claim goodbye. Let’s look at some personal injury settlements with Progressive. Below are some of my many injury settlements against Progressive Insurance. A truck driver was rear ended by another truck (see below). He claimed that the crash caused or aggravated his shoulder labrum tear. His doctor performed surgery to fix his labrum tear. He also claimed that the crash caused or aggravated his 3 herniated discs. Travelers insured the careless truck driver. They paid $200,000 to settle my client’s personal injury claim. My client had $10,000 in underinsured motorist insurance (UIM) coverage with Progressive on his personal car. When the crash happened, he was driving an 18 wheeler owned by his employer. After initially refusing, Progressive paid me the $10,000 UIM insurance limits. I settled the entire personal injury case for $210,000. A car passenger claimed that an accident caused or aggravated a herniated disc. The passenger had a lower back fusion surgery. Below is what a back fusion surgery looks like. Progressive insured the car that hit him. Progressive paid $50,000 of the settlement. The passenger had $100,000 of his own underinsured motorist (UIM) coverage on his auto insurance policy. Since he was an occupant of a car at the time of the crash, his UIM insurance was available. His auto insurer paid its $100,000 limits to settle the UIM claim. His Personal Injury Protection (PIP) coverage on his auto insurance policy paid his medical providers $10,000 for his medical bills. A female pedestrian was in a crosswalk walking across the street in Homestead, Florida. A driver of a van hit her. The actual diagram from the Florida traffic crash report is above. She suffered a fractured bone in her face (below the eye). We settled this case for the Progressive UM policy limits of $100,000. It was under her husband’s Progressive auto insurance policy. Imperial Fire & Casualty Insurance Company insured the driver of the van. They had $10,000 in bodily injury liability insurance coverage. Imperial paid the $10,000 limits. A young woman was driving a friend’s car, heading straight on US 1 in Miami, Florida. An SUV was heading in the opposite direction. The driver of the SUV attempted to make a left-hand turn. They crashed. The damage to the car that the lady was driving can be seen above. After the collision, she had arthroscopic knee surgery and epidural injections to a bulging disc in her lower back (L5-S1). Progressive insured the careless driver. They paid their driver’s insurance limits of $50,000 in bodily injury liability (BIL) coverage. Allstate insured the car that she was driving with underinsured motorist (UIM) insurance. Since she was in the car, she was entitled to UIM coverage. Allstate paid $25,000 from the UIM coverage. The total settlement was for $75,000. I represented the injured lady. My client was driving her car. She was hit in a three car collision. She had arthroscopic shoulder surgery. Progressive insured one of the cars with $10,000 BIL limits. They paid the $10,000 limits. GEICO insured another car, and paid $47,600 to settle the injury case. The crash happened in Jacksonville, Duval County, Florida. The rider alleged that the accident aggravated his pre-existing shoulder injury (rotator cuff tear). He ultimately had shoulder (rotator cuff) surgery. Here is a photo of the rotator cuff tear that doctors took during the surgery. How can you actually use a photo that was taken during a surgery? Progressive insured the car’s driver with $10K in bodily injury liability(BIL) coverage. State Farm insured the car owner with $10K in BIL. In Florida, a car owner is liable for a driver’s negligence. The total combined BIL insurance available was $35,000. Progressive paid its $10K BIL limits to settle the motorcycle rider’s injury claim. Here is Progressive’s settlement check. State Farm paid $25K to settle. The total injury settlement was for $35K. The motorcycle rider didn’t have uninsured motorist (UM) coverage available. If he would’ve had UM insurance, the motorcycle accident settlement would’ve likely been much larger. 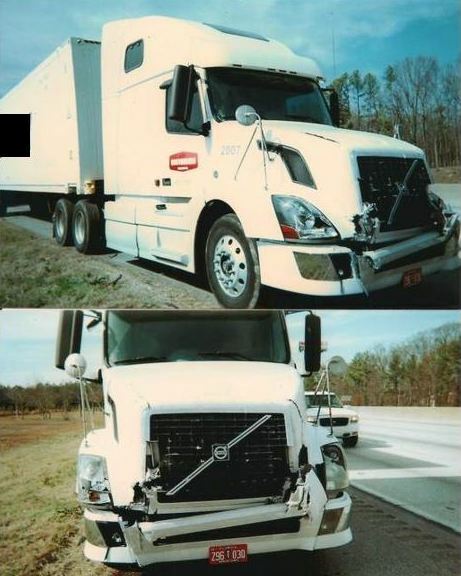 A driver got a $20,000 settlement after a truck rear ended him. The actual traffic crash diagram is below. This accident happened near the Redland and Homestead, Florida. A truck (vehicle 1 in the above diagram) was heading east. Tracy was driving a pickup truck (vehicle 2). Vehicle 1 hit the back of Tracy’s truck. Tracy’s truck rolled over. He claimed a concussion, injury to his shoulder, spinal injuries & loss of sensation to his fingertip. Tracy hired a personal injury lawyer (me) after his accident. Progressive insured the careless driver with $10,000 in BIL insurance. Tracy had a $10,000 underinsured motorist insurance policy with Progressive. Progressive paid a total of $20,000 to settle the BIL and UIM case. After my attorney’s fees, costs and medical bills were paid, my client received over $10,500 in his pocket. He would’ve gotten more in his pocket but he worked for a large private company. This means that his “health insurance” was self-funded. Thus, they were able to get virtually every penny back from what they paid for his bills. Liz was a passenger in an SUV. A driver of a Jeep T-boned Liz’s SUV in an intersection in Miami-Dade County, Florida. The front of Liz’s SUV smashed into the side of a Jeep (Vehicle 1). Here is what the SUV looked like after the crash. Here is another photo showing the damage to the front and driver side of the SUV. Both front airbags in the SUV deployed. She was wearing her seatbelt. Liz claimed that the accident caused or aggravated a herniated disc in her lower back. The crash caused a scar on her forearm. You can see the scar in the photo below. Infinity Insurance company paid its $10,000 BI liability insurance limits. Progressive was my client’s uninsured motorist insurer. They wouldn’t pay the $10K limits. I filed a civil remedy notice of insurer violation with the Florida Department of Insurance. Progressive paid the $10K limits. Here is Progressive’s check. Henry (not real name) was the driver of the car in Liz’s case (that I just discussed above). Henry claimed that the accident caused or aggravated a herniated disc in his lower back. Progressive paid the BI liability insurance $10,000 limits. Here is Progressive’s settlement check. My case: $20,000 Settlement for a woman who claimed a disc protrusion (herniation), which indented on the ventral (spinal) cord. She also had multilevel disc bulges. A lady was hurt in a Miami Beach car crash. The careless driver was suspected of dui/alcohol use. The victim had pain in her spine. She was in the first trimester of pregnancy at the time of the wreck. Shortly after the accident, she had a miscarriage. I spoke with several OB/GYN doctors. None could say that the crash caused her miscarriage, since she was in the first trimester. Progressive insured the careless driver with $10,000 in bodily injury liability (BIL) insurance limits. Nadine Thomas was the Progressive adjuster. Progressive settled for its $10,000 BIL limits. Allstate, the uninsured motorist insurer, settled for $7,500. The total settlement was for $17,500. I represented the injured woman. My case: $16,000 Settlement for a man who claimed that his herniated disc was caused when another car hit his truck in Miami, Florida. A woman was driving her SUV near West Miami and Coral Gables. A pickup truck driver crashed into her. The impact send her car into a street light. It then rolled over. The other driver was arrested for drunk driving. Progressive insured his pickup truck. She claimed soft tissue injuries. Progressive paid $15,000 to settle this case. I represented the injured driver. I represented a passenger in the SUV in the above case. He claimed that the accident caused his neck and back pain. My case: $12,000 Settlement (Gross) for a woman who claimed a herniated disc in her lower back when her SUV was struck by another car in Miami. Jon, a 20 year old man, was driving his mom’s Honda Accord. He was heading southbound on SW 149th Ave in Miami. Another driver, Leo, was driving a Lexus heading east on SW 179th Terrace. The above diagram shows how the crash happened. Leo had a stop sign. The Florida traffic crash report said that Leo failed to yield entering the intersection. Jon was unable to avoid Leo’s car. Jon hit Leo. The damage to Jon’s car can be seen in the photo below. You can see the damage to Leo’s car below. Leo’s car spun clockwise causing his driver side rear to hit Jon’s passenger side rear. Jon’s car then left the roadway on the left (east) side coming to rest facing South/East on the grass. Leo’s Lexus came to rest facing southbound in the center of the intersection. Jon was diagnosed with a herniated disc. Progressive insured the careless driver with a $10,000 BIL policy. After making several demands for the $10,000 BIL limits, Progressive wouldn’t offer more than $4,200 or so. My client wanted to settle his claim, since it has taken some time. I filed a consumer complaint, and filed a lawsuit against Leo. I didn’t serve Leo, so that I could save my client a few bucks. Within days, Progressive overnighted a check for the $10,000 policy limits. They increased their offer by over 100%. My client chose to accept the $10,000 instead of going after the assets of Progressive’s insured. Sometimes, even in a clear-cut case, you may have to sue Progressive to get fair value for your case. My case: $10,000 Settlement (Gross) Policy Limits for a middle-aged woman who claimed her rotator cuff tear was caused by an accident when she was hit by another car. My case: $10,000 Settlement (Gross) for a woman who claimed soft tissue injuries. A car, insured with Progressive, hit her car. It happened in Miami, Florida. How Much of Your Hospital Bill Will Progressive PIP Insurance Pay? If you have PIP with Progressive, Progressive is required to pay the hospital according to a formula. To illustrate the formula, we’ll use amounts from a real case (not mine) involving Progressive. The total hospital charge was $2,781.00. The PIP deductible was $1,000. Then, multiply this amount by 75% per section 627.736(5)(a)1.b. Next, multiply that times 80% applying section 627.736(5)(a)1. Per Florida law, Progressive owes 80% of that amount. Progressive tried to argue that they owed less than this amount. Progressive Select Insurance Company v. Florida Hospital Medical Center A/A/O Jonathan Parent. The court disagreed. It said that Progressive has to pay PIP benefits using the above formula. Progressive may be dead wrong when they tell you that they only owe a certain amount. The injured person can sue the at fault driver to recover the PIP deductible. He or she can also sue for pain, suffering, other medical bills and lost wages. There are two types of individuals who report and track claims. Progressive lets an accident victim report or track a claim. Customers can log in to report or track the claim online. Injured accident victims would do this for a Personal Injury Protection (PIP) claim. Victims can also do this for uninsured motorist (UM) injury claims. Warning! Everything that accident victim writes down can be used against him or her. Progressive may be the victim’s insurer. However, it will quickly use the insured’s statement against him or her. Can People without Progressive Insurance Track a Claim with Progressive Online? Progressive lets anyone with a claim track a claim. Therefore, people with injury claims against Progressive can track their claim. This is true even if you are not insured with Progressive. In order to view the claim, Progressive must have already created a claim. The accident victim can find out the contact information (phone number) and other information for the claim representative when he or she views the claim online. Progressive owes a duty to its insured. It does not owe a duty to a third party. Progressive insures Mike’ car. Maria is driving Jose’s car. Mike makes a left hand turn in front of Maria. Maria crashes into Mike. She claims that the accident caused her herniated disc and knee surgery. Maria makes a claim against Mike’s bodily injury (“BI”) liability coverage in his Progressive auto policy. Progressive has an obligation to protect Mike’s interest. This is because Mike is Progressive’s insured. Progressive does not have a duty to protect Maria. Progressive will “work with Maria” by talking to her. But Progressive’s interest is adverse to Maria’s interest. Progressive will offer the lowest amount possible to Maria. What is Considered Fast Service? Progressive adjusters are more likely to answer the phone than adjusters at nonstandard companies such as United Auto (UAIC), Windhaven Insurance, Imperial Fire & Casualty and many others. Progressive adjusters are more likely to answer the phone (and return calls) than some large self-insured companies like Walt Disney World. Warning! Progressive has a reputation for offering to settle injury claims quickly after an accident. They may make an offer before the accident victim knows the full extent of his or her injury. They will want the victim to sign a settlement release. The accident victim should be very careful accepting this offer. If the victim signs a release, he or she is forever barred from making a claim. Tip! In some situations, the victim may be able to have the release declared as void. This may happen where Progressive settled the case quickly after the accident while the victim was not capable of making an informed decision. Florida Administrative Rule 69B-220.201 lists the ethical requirements for all adjusters in Florida. This applies to Progressive claims adjusters, including BI claims adjusters. An adjuster shall handle every adjustment and settlement with honesty and integrity, and allow a fair adjustment or settlement to all parties without any compensation or remuneration to himself or herself except that to which he or she is legally entitled. As you can see, adjusters are required to be honest. If a Progressive adjuster is dishonest and tricks you into an unfair settlement, you may be able to have the settlement tossed out. An adjuster shall not attempt to negotiate with or obtain any statement from a claimant or witness at a time that the claimant or witness is, or would reasonably be expected to be, in shock or serious mental or emotional distress as a result of physical, mental, or emotional trauma associated with a loss. The adjuster shall not conclude a settlement when the settlement would be disadvantageous to, or to the detriment of, a claimant who is in the traumatic or distressed state described above. Thus, if you were under shock or serious mental or emotional distress as a result of physical, mental or emotional trauma associated with the accident, you may be able to get out the release. An accident victim can report a claim to Progressive by calling 1-800-274-4499. A Progressive claims intake person will ask you about the basic facts of the accident. They will give you a claim number. The claim will be assigned to an injury claim adjuster. A claims representative may contact you by the end of the business day. The injury claim adjuster will not be available after hours. If a Progressive insured’s carelessness caused your accident in Florida, you can send a letter to Progressive requesting that they disclose certain insurance information. In Florida, Progressive is required to disclose its insured’s information. This includes, but is not limited to, telling you their insured’s BI liability policy limits. If your vehicle is damaged, the adjuster may set up a vehicle inspection. The accident victim should still take several photos of the vehicle. Take photos from both up close and far. Photos are very important in the personal injury claim. If it is safe to do so, take pictures of all vehicles involved. Take pictures of any skid marks. Move as far off the roadway, but do not leave the accident scene. Call 911 from the scene if it’s an emergency. If the accident is minor and you are safe, call the local police department. If the accident is severe, call 911. A 911 call can help an injured victim’s Florida car accident case. Warning! Be careful when discussing the claim with a Progressive claims representative. They may use what you say against you. Witnesses can help a Florida injury case. See if there were any witnesses who were not an occupant in a vehicle involved in the wreck. Get the witnesses name, license number, address and phone numbers. Independent witnesses are more likely to help shortly after the accident. As time passes, most independent witnesses lose interest. They have no financial incentive to help. The injured victim needs to know the correct name if he or she files a civil remedy notice of insurer violation. Which Progressive Adjusters Have I Settled Injury Claims or Dealt With? Progressive is an agent for home insurance in Florida. It is an agent for home insurance, condo insurance and renters insurance. Unlike State Farm, Progressive is not a homeowners insurer. Someone who lives in a home may have caused someone else’s injury. If this happens, the accident victim may have a claim against the careless individual’s home insurance. What Types of Insurance Does Progressive Sell? These include auto, home, renters, condo, mobile home, motorcycle/ATV. Progressive also insures Boat/PWC, Motorhome, Travel Trailer, Classic Car, Term Life and Business Auto. Did someone’s carelessness cause your injury in a Florida car crash or other type of accident? I am a Miami car accident lawyer. 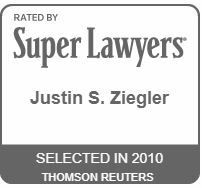 I have settled many Florida injury cases. They include, but not limited to, car accidents, truck accidents, motorcycle accidents, bike accidents, pedestrian accidents, taxi accidents, drunk driving (DUI) accidents. I want to represent you! My Miami law firm represents people injured anywhere in Florida in car accidents, truck accidents, slip, trip and falls, motorcycle accidents, bike accidents, drunk driving crashes, pedestrian accidents, taxi accidents, accidents involving an Uber or Lyft Driver, and many other types of accidents. We want to represent you if you were hurt in an accident in Florida. If you were injured in another state but live in Florida, we may also be able to represent you. Call us now at (888) 594-3577 to find out for FREE if we can represent you. We answer calls 24 hours a day, 7 days a week, 365 days a year. We speak Spanish. We invite you to learn more about us. Editor’s Note: This post was originally published in April 2014 and has been completely revamped and updated. I will not become your attorney by you leaving a comment. There is a time limit to file a lawsuit. All comments will be public. This includes the name that you enter. I only represent people who were hurt in Florida or on a cruise ship; or if the injured person lives in Florida or a family member (in the case of a death) lives in Florida. This is because I am only licensed in Florida. Fill out this form to see if we can represent you. We'll respond in minutes. Select oneYes, it happened in Florida.No. It happened in another state/country.No. It happened on a cruise/boat. Select oneNo injuries.Only pain (e.g. neck, back, knee, etc. )Broken bone but surgery not needed.Surgery on a bone.Torn ligament/tendon (shoulder, ankle, meniscus etc. )Friend or family member was killed.Other injuries not listed above. Select oneYes, I have an attorney.No, I don't have an attorney.No, I had one but I no longer do. We're a law firm that represents people hurt in accidents in Florida or on a cruise ship or boat. We may also be able to represent you if you live in Florida but are injured in another state. We want to represent you. Office in Miami. We can meet you anywhere in Florida. Call (888) 594-3577 for a Free Consultation Now! Does Uninsured Motorist Insurance Cover Motorcycle Accidents in Florida? 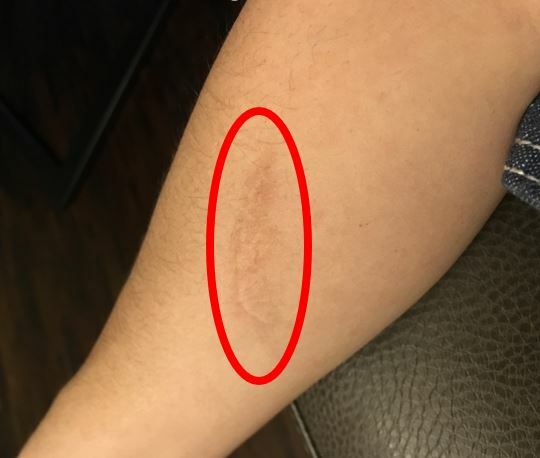 How Much is a Scar Worth in an Accident Case? Car accidents, slip and falls, motorcycle accidents, and more. We’ve settled cases with GEICO, State Farm, Progressive, USAA and others. Our settlements include those for people who’ve hurt their shoulder, hand, broken a leg, foot and much more. We’ve had millions of dollars in injury settlements for accidents in Miami, Homestead, Hialeah and throughout Florida. Our office is in Coral Gables (Miami-Dade County, Florida). We’ve settled many personal injury claims in Miami. 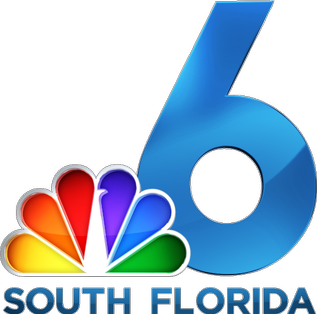 However, we’ve also settled cases throughout the entire state of Florida. This includes several $135K+ settlements for accidents that happened in Fort Lauderdale, Clearwater, Pensacola and others. We’re proud of our results in other parts of the state as well as the Miami area. I call myself a Miami injury lawyer who serves all of Florida. Office is near the University of Miami. Serving all of Florida.